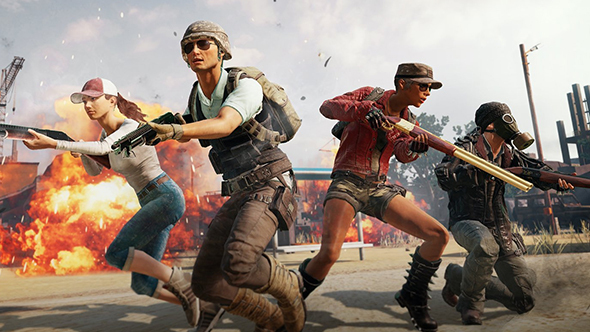 One week after releasing its entire PlayerUnknown’s Battleground’s esports team, Ninjas in Pyjamas has announced that the ex-Welcome to South Georgo roster will be filling their space. The roster, which comprises of Justin “MiracU” McNally, Laurynas “Gaxy” Rudys, Alex “vard” Gouge, Laurynas “Nbs” Kisielius, and their coach Martin “dohfOs” Ludén were revealed as the new Ninjas earlier tonight, and it seems as if they have high expectations for the upcoming season – and rightfully so. Gaxy, vard and MiracU were three of the core members of WTSG, who came third in both the FPP and TPP tournaments of the PUBG Global Invitational in Berlin earlier this year. They are known for their smart but aggressive playstyle, but the trio has only been playing with their new in-game-leader Nbs for a few weeks now. But, the change seems to be working well for the roster. If you’ve been watching Season 3 of the Global Loot League, you’ll have witnessed roster fighting for the top spot for WTSG in just week two. Given that Ninjas in Pyjamas ended the last season in 24th position, the firepower from the mixed-European roster is promising indeed. “I think it’s safe to say that many of us are long-standing fans of Ninjas in Pyjamas,” MiracU says in the press release. “The organisation and the players in it are legends of their own, especially in the FPS genre where we come from. Becoming a part of that and joining NiP is obviously something that we’re extremely happy about. The new NiP roster will compete in GLL Season 3 next week.